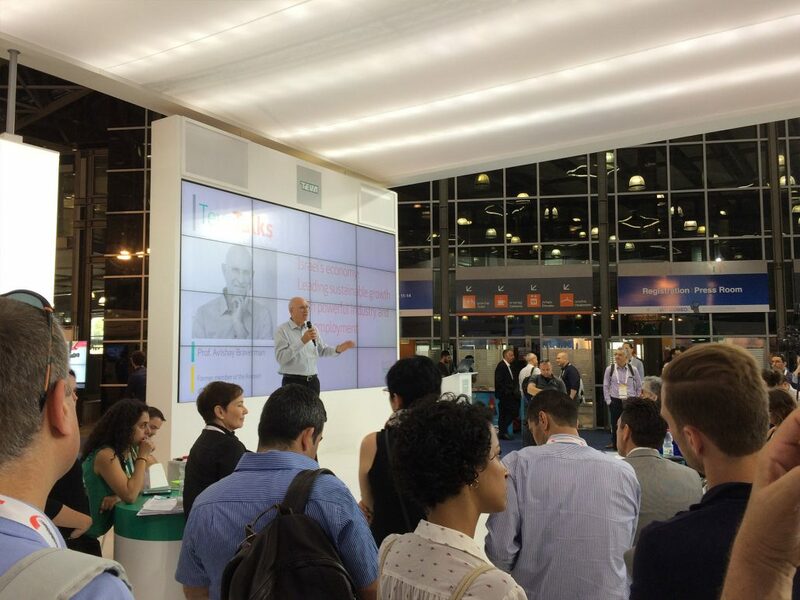 Teva Pharmaceuticals chose Telemedia to create its booth and content experience for Biomed 2015. Based on the concept “The Largest Medicine Cabinet in the World”, Telemedia, in partnership with Identity Ltd., developed an impressive, experiential booth, rich in content and innovation. 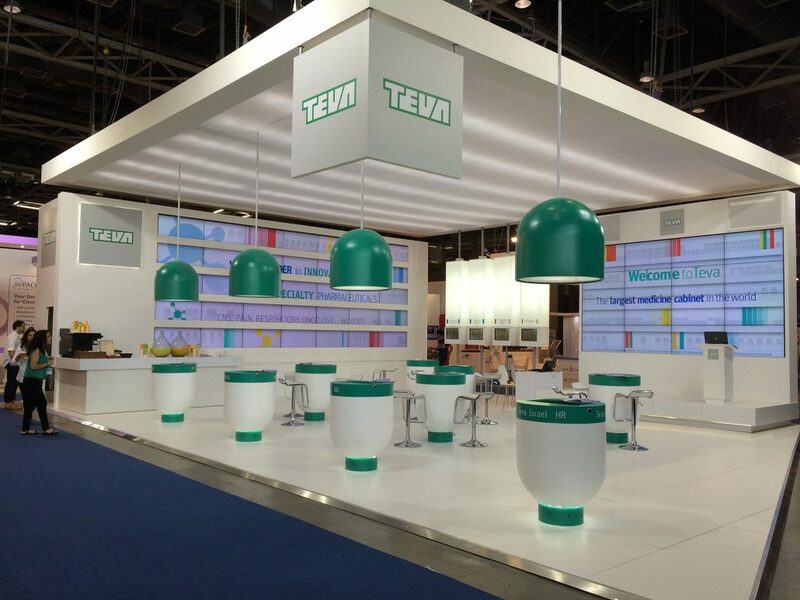 The booth’s main exhibit was based on an image of pharmacy shelves that revealed Teva’s leading messages to visitors. Presented on 35 seamless plasma screens, it blended into the booth’s design, creating five dynamic and intriguing “multimedia shelves”. Biomed is Israel’s most important international exhibition for the biomedical device/pharmaceutical industry. The company was unofficially known as unapproachable and it was important to them to challenge this image and offer genuine value to the attendees. At the same time, it was critical to them to maintain their leadership position in the market. We were challenged with creating an event that would position them as the undisputed industry leaders, who were at the heart of the exhibition, giving back to the industry in which they functioned. As Teva’s message for the event was “The Largest Medicine Cabinet in the World”, we concentrated on this to shape a versatile, interactive booth that enabled visitors to interact with the company and their messages in a variety of ways. On one wall, we created an eyecatching “power wall” with 35 seamless plasma screens that were fashioned into a multimedia virtual medicine cabinet. The screens came alive with targeted multimedia content which included company messages and creative graphics. To showcase their innovation, we installed interactive transparent screens/ These screens looked like aquariums, with an object that represented one of the company’s four departments visible in each. When pressed, the messages were presented on the transparent screen through animation, graphs and other powerful imagery. Similarly, tables fashioned in the shape of a pill were placed at the entrance to the booth, to serve as meeting places with Teva representatives from each of the departments. Each table was in fact an interactive display that provided an interactive and fun platform for each department to introduce itself to the public. The very height of the activity of their booth were the Teva-Talks. These Ted-styled talks introduced industry giants, high level company figures and government ministers. Topics for these 10 minute talks were selected to be of interest to the exhibition visitor: How to Register a Patent; Industry Trends; How to Pitch to a Large Company, to name just a few. Teva also hosted a student program which gave students the floor during their Ted-style event. Visitors thronged to hear these free lectures. 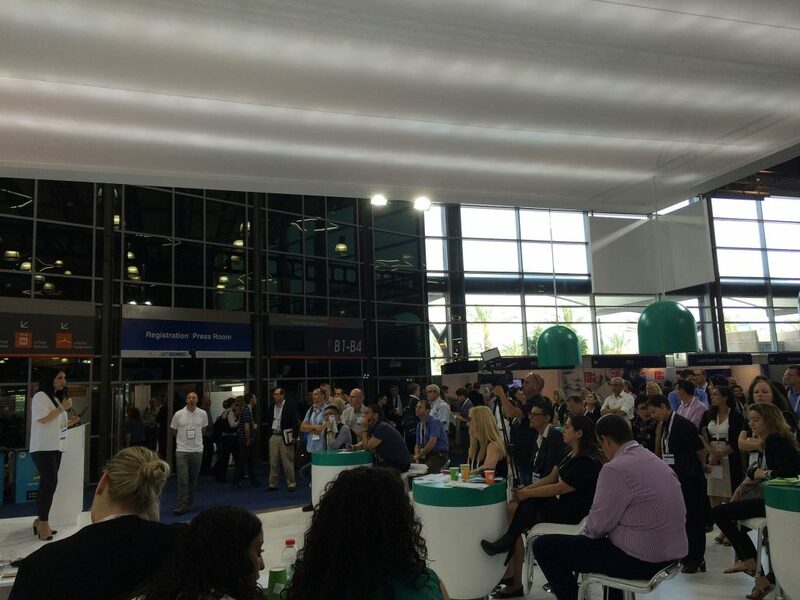 Teva was recognized as one of the most impressive exhibitors at Biomed 2015, with record numbers of attendees. They were the only exhibitor with any “action” and their booth was extremely crowded throughout the show. Yael Kfir, VP Communications at Teva thanked us for our service as “strategic partners” throughout the process. Similarly, she remarked that Teva’s visibility at the show impacted their positive reputation.